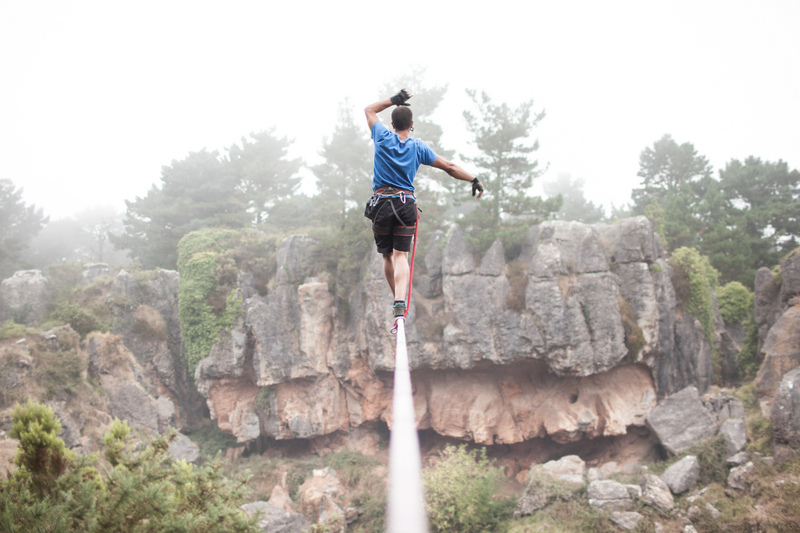 Having advanced cancer feels a lot like walking a tightrope. Creeping so carefully, trying to balance on the slimmest of margins, never any real chance to let down your guard. Every so often a gust blows, but there’s no predicting when. You feel stable, eyes on the horizon, and then out of nowhere the wind comes and you flail and try to regain footing, to reclaim the stability and fortitude necessary to continue. The worst part about a gust is that it’s impossible not to glimpse into the abyss below as you flail. Just a peek at the long way down can be so much harder to recover from than simply regaining physical balance. A friend of mine said to me, “Lisa: Don’t. Look. Down.” And, she’s right. It’s almost always a mistake. But, how can you not? I have been feeling physically pretty good the last couple months. There’s always something to worry about, but mostly I was feeling confident, confident enough that I even started thinking about teaching cycle again. I went to my CT scan a few days ago without anxiety. I was even excited to go and hear a good report so I could have confirmation of my feelings and merit a few weeks with less worry. Alas, these things rarely go as expected. The nurse walked into the room after my CT and said, “Wellll… the scan looks pretty good.” And just like that, all my excitement dropped away, replaced by a pit in my stomach. I’ve been to this rodeo enough times now that I can recognize when nurses or doctors are trying to sugar coat a turd. “Pretty good” means there is something that looks not so good. The CT showed that I have a small amount of fluid in my right lung and a small amount of septal thickening in my left. It’s such a small amount that it’s not causing much in the way of symptoms and it may be nothing. I will stay on Xalkori and get another scan in 2 months instead of 3. I’m distressed because Xalkori is reported to have a longer period of effectiveness for people with the ROS1 mutation like me, especially when it’s taken before metastases are widespread. Having possible progression, however minor, show after only 5 months on the drug surprised me. It’s a big gust of wind and I’m flailing. Yesterday, I saw a guy slacklining in the park. He had set up a very long slackline (maybe a few hundred feet) and was crossing it over and over. I watched, fascinated. Sometimes he was very still, other times he moved quickly and intentionally bounced the line. His arms, extended for balance, moved with a fluidity that made the whole thing look more like beautiful dance than a struggle to stay upright. There’s probably a lesson in there, I realized. He wasn’t resisting or avoiding the gusts and bumps, he was riding them. And, he never looked down.